More photos of cruelty in greyhound racing have emerged. Greyhound racing: Animal cruelty images further validate industry shut-down, NSW Government says. The New South Wales Government has seized on the release of photographs showing animal cruelty by a greyhound trainer as further evidence of the need to close down the industry. The photographic evidence from the RSPCA has been released after greyhound trainer John Thomas Baskett was convicted for animal cruelty in March. The case arose after inspectors of the RSPCA and Greyhound Racing NSW raided a shed in Marsden Park in western Sydney which housed five greyhounds in August last year. According to a statement of facts tendered in court, they found an overpowering stench, poor ventilation, almost no light and dogs sleeping on mud. RSPCA Chief Inspector David O&apos;Shannessy, said "that one dog [called Bossey] was lame ... hopping around on three legs". Deputy Premier Troy Grant said "as the evidence continues to mount of horrific mistreatment of greyhounds, it continues to erode the industry&apos;s claim that we are looking at a couple of bad apples". "Turning a blind eye to this sort of behaviour is just as intolerable as inflicting this sort of cruelty yourself," he said. Baskett, a registered greyhound trainer since 2002, was convicted in March on one count of failing to provide veterinary treatment to an animal under the prevention of cruelty to animals act. Inspector O&apos;Shannessy said Bossey was severely underweight and "close examination by the vet confirmed there was an injury to that right rear leg and it was also painful to touch. The dog was also found to have grade two dental disease". In a statement tendered to court, Baskett said he intended to take the dog to the vet in the week of the raid. However, Inspector O&apos;Shannessy said it was the opinion of a vet that treatment was needed two weeks before the animal was seized. 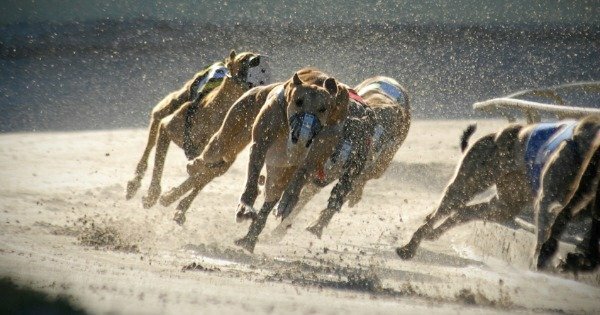 He added that the RSPCA often uncovered similar problems in the greyhound racing industry. "There appears to be incidences of animals requiring treatment yet the owners, whether it&apos;s for cost or finances, make their own self diagnosis and that is often a misdiagnosis." Baskett was forced to pay a total of almost $10,000 in fines, legal fees and vet costs, but was allowed to keep the greyhound. The shed has since been demolished. State Opposition Leader Luke Foley urged the Government to "throw the book at those who do the wrong thing, but look after the thousands of good men and women in the industry". "Labor will move in the Parliament for mandatory life bans and prison terms for anyone who engages in the despicable act of life baiting," he said. Legislation to close down the greyhound racing industry will be introduced into the NSW Parliament next week.